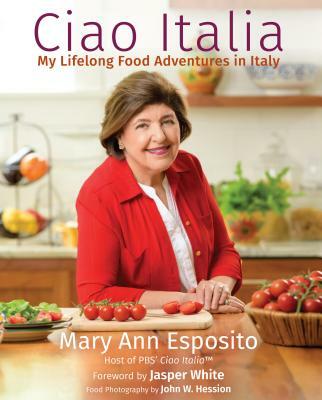 Join Mary Ann Esposito for a cooking class featuring a demonstration on how to prepare Ricotta Gnocchi and Farro Pasta and a food & wine tasting on Saturday May 4th at 11AM in King of Prussia, PA.
More information and tickets avaialble online here. Who can resist a plate of fresh, handmade pasta? 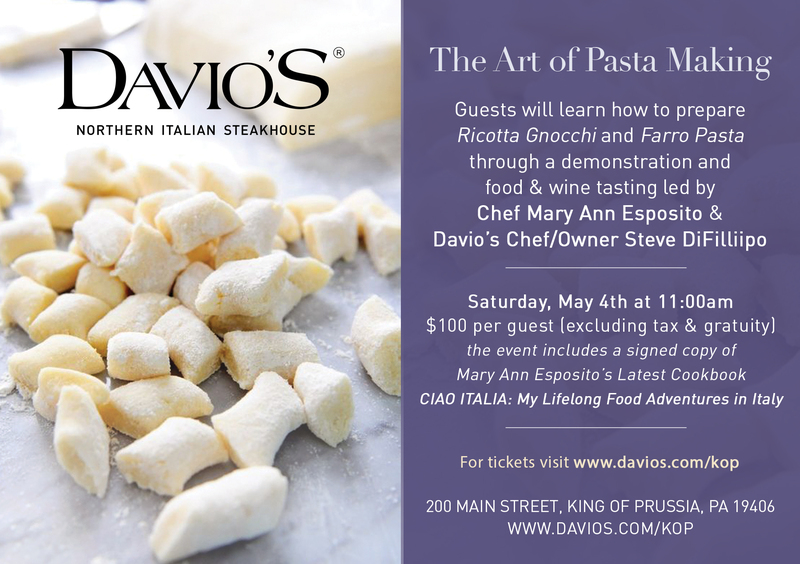 Visit Davio’s King of Prussia on Saturday, May 4th at 11:00am and learn how to create your very own little pillows from heaven, otherwise known as Ricotta Gnocchi as well as Farro Pasta from Italian cooking legend and TV Host Mary Ann Esposito and Davio’s Chef/Owner Steve DiFillippo. The pasta class is $100 per guest (excluding tax & gratuity) and includes a demostration of how to replicate 2 pastas as well as a food & wine tasting and a copy of Esposito’s latest book, CIAO ITALIA: My Lifelong Food Adventures in Italy.